Fine Art at Nepean Arts and Design Centre: Certificate IV in Visual Arts and Contemporary Craft: Apply NOW for 2012! Certificate IV in Visual Arts and Contemporary Craft: Apply NOW for 2012! 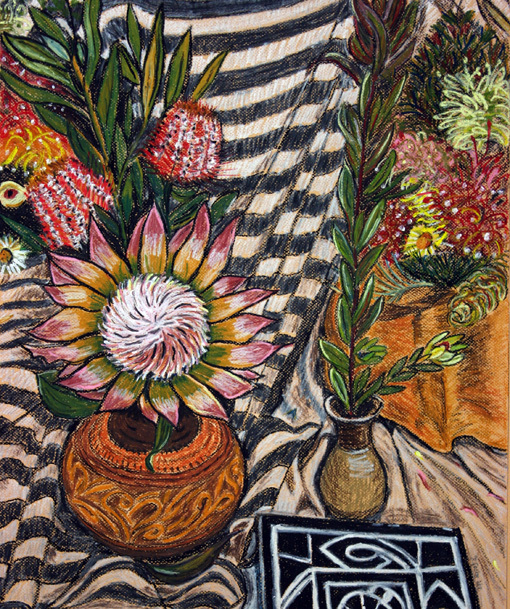 Drawing by Robyn Gosby, Certificate IV Visual Arts and Contemporary Craft, 2011. The Certificate IV in Visual Arts is a full-time (3 day per week), 1 year course that gives a solid foundation in key studio areas within visual arts practice. The CIV offers studies in drawing, painting, fine art photography, printmaking, art history/ theory and ceramics. It is also the recommended pathway course for the new Diploma of Visual Arts, which will be introduced at NADC in 2013. Certificate IV students gain a great deal of skills and inspiration during their studies, and many of our learners this year will go on to enrol in Diploma studies in 2012. The image above is by 2011 CIV student Robyn Gosby, from a drawing class taught by Dalia Maron. To see more of the wonderful work created in this class, visit our CIV 2011 Drawing flickr set. You can also phone the college (131 870) to register. Kingswood (enter via gate 2). We may also consider late applications, but given the level of interest in the course, we highly recommend registering for the first round offers. visit the fine arts course information page on the NADC website.